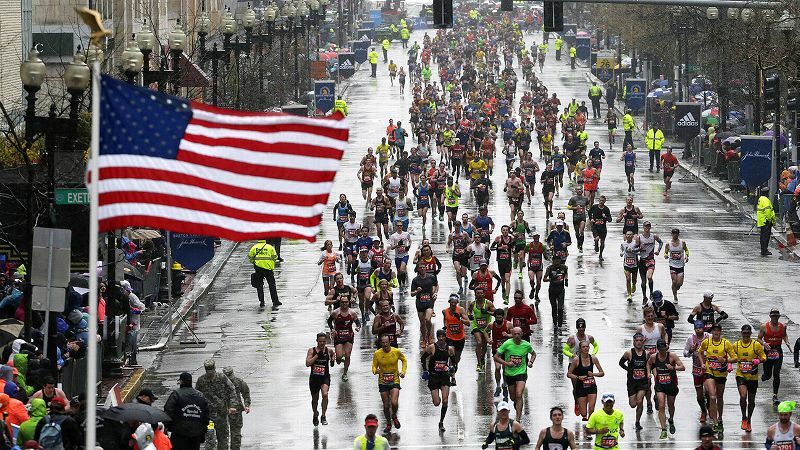 The Boston Marathon (2015) has a much different makeup than when Roberta Gibb ran it unofficially in 1966. On Christmas Eve, I sat on the floor of my mom's living room, her high school yearbook in my lap. After giggling at my teenaged parents in the Pep Club picture (sideburns for him, long, long hair for her), I flipped back to the sports section to see my dad's picture on the baseball team. Twelve pages over was the cross-country team; in it: 32 men, 0 women. For outdoor track: 41 men, 0 women. Two pages over, the indoor track team: 20 men, two women. Two women! I thought, but the caption explained their roles not as runners, but statisticians. "It's a shame too," my mom said as she hung Christmas cards over the doorway. "I was really good at hurdles." My mom, now 61, graduated in June of 1972, the same year and month that Title IX became law. She was at the tail end of an era when women who ran long were treated as anomalies; one where women were warned by doctors that their running would make them sterile; one where a woman was almost tackled by a race official for running in the Boston Marathon; and one where women weren't allowed to run more than 1,500 meters in the Olympics. No wonder she couldn't run in high school. More than 40 years later, women dominate the sport. We made up 57 percent of road race finishers in the U.S. in 2014, according to Running USA, and that number was 58 percent for 5k's, 59 percent for 10k's and a whopping 61 percent in the half marathon. Two hundred forty-six women qualified for the Feb. 13 Olympic Marathon trials, compared to 211 men. The fall 2015 issue of the Road Runners Club of America magazine even ran an article about how to bring more men into running. At the amateur level, the influx of women has made running more inclusive and welcoming, and has shifted focus -- for some -- from knocking down personal records to getting out on the roads and enjoying the sport, sometimes in tutus. At the professional level, it's pulled more people into the sport who are running at the front of the pack to give the U.S. higher hopes of winning a medal in the marathon at the 2016 Olympic games. Running in the U.S. has gone through two big booms. The first was in the early 1970s, when breakout runners like Frank Shorter and Steve Prefontaine showed that running was its own sport and not something you did just to get in shape to do something else. Women were just starting to show their faces in major races around then, too. Roberta "Bobbi" Gibb ran the Boston Marathon unofficially in 1966. Kathrine Switzer did it officially in 1967 by registering as K.V. Switzer and was famously, on camera, almost tackled by race manager Jock Semple. In 1972, six women sat on the starting line of the New York City Marathon to protest the Amateur Athletic Union's official opinion that women shouldn't run more than 10 miles at one clip. The scales started to even out between men and women in the amateur field in the mid-1990s, says Amby Burfoot, who won the 1968 Boston Marathon and authored the upcoming "The First Ladies of Running: 22 Inspiring Profiles of the Rebels, Rule Breakers, and Visionaries Who Changed the Sport Forever." 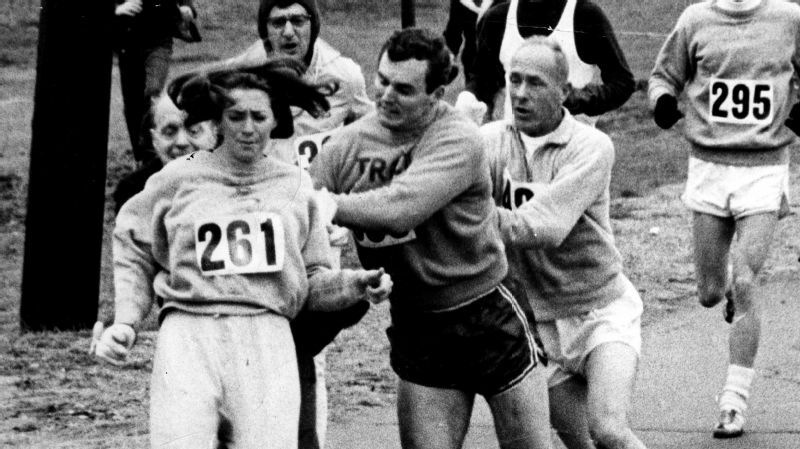 BARRIER TO ENTRY Women were not officially allowed to run the Boston Marathon until 1972, but Switzer got around that in 1967 by registering as "K.V. Switzer." But it wasn't so much the victories women kept scoring when it came to running, says Burfoot. 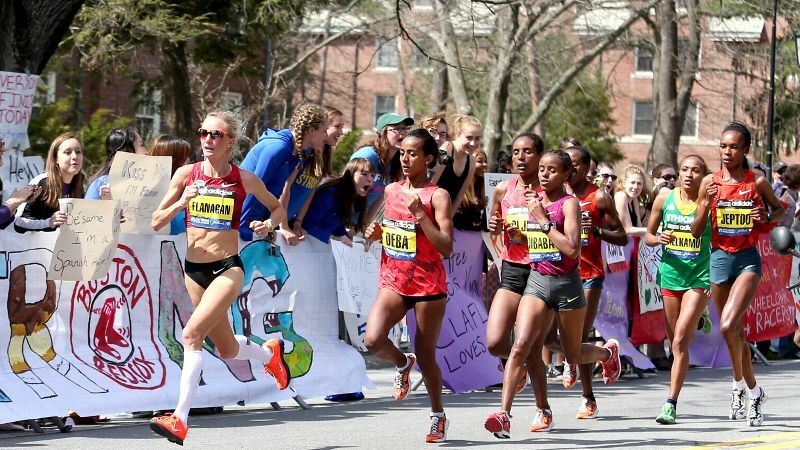 Opening up the Boston Marathon officially to women in 1972, the New York Road Runner's first all-women's race that same year, the first women's Olympic Marathon in 1984 -- they all pale in comparison to what happened in 1994. Oprah Winfrey ran the Marine Corps Marathon, and finished in 4 hours, 29 minutes, 15 seconds. "Most women can associate with Oprah and the immense obstacles she had to overcome," he says. "People can associate with that much more than someone who wins Olympic medals." Where Joan Benoit Samuelson's inspiring gold medal win in that first women's Olympic marathon might have been a chance for women to see, on national television, a woman excelling at running long distances, it didn't necessarily push women to try the sport because they didn't see themselves as her. They weren't going to win any medals or even maybe an age group award. But the March 1995 issue of Runner's World, featuring a picture of Oprah in a peach-colored sports bra and spandex shorts with the cover line "Oprah Did It, So Can You" -- women went from 25 percent of road race finishers in 1990 to 32 percent in 1995, according to Running USA. "She showed that if you put your head down and one foot in front of the other, you could do it too," says Switzer, who also was a driving force behind getting the women's marathon into the Olympics. At the time, Switzer adds, "Oprah was probably next to Princess Diana in terms of being the most famous person in the world." And there she was, running a marathon -- and a lot of women thought that they could, too. Women kept pushing the total number of finishers up from there, and were the driving force behind the second U.S. boom of the late '00s, right when the recession hit. Between 2005 and 2010, the total number of road-race finishers jumped from 9,442,000 to 13 million; in that same five-year span, women went from 48 percent of finishers to 53 percent. Women have dominated the sport since, with more than 10.5 million women making up road-race finishers in 2014. 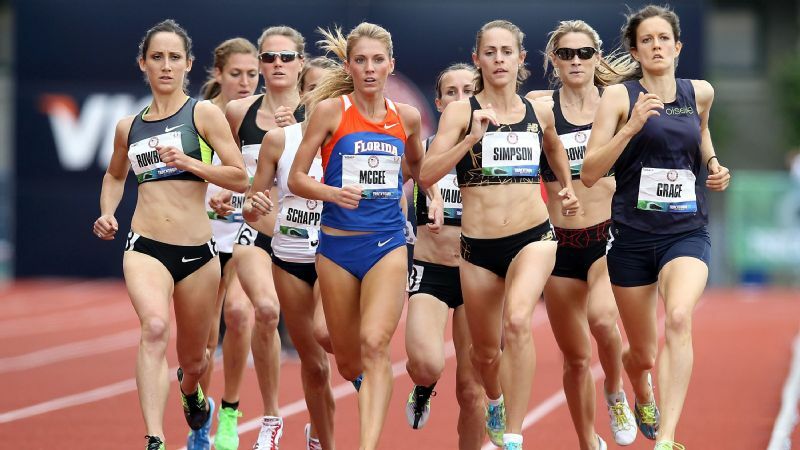 The time period when women made that jump has also seen the faces and shapes of those showing up to races starting to change too, says Rich Harshbarger, CEO of Running USA for men and women. "If you go back and look at photos of races in the '80s to the mid-'90s, you see mostly men, mostly looking at their watches. They're going to beat the guy next to them, win their age group, qualify for Boston, set a PR," he says. "You'll still see those folks, but you started to see costumes and clusters of groups and smiles and different body types." [Running] felt like it was just this thing for old white guys in short shorts. Now, it's become this place where you can come out, whatever color you are, whatever size you are, no matter what your background. Toni Carey, co-founder of Black Girls Run. It's also lead to the rise of experiential events -- things like mud, color, foam, electric and zombie runs -- where participants are not necessarily timed, but the focus of the event is finishing. According to Running USA, these events went from being just a handful of events in 2009 to having about four million participants in 2013. I've head a lot of grumbles about these events -- and I admit I grumbled too when a color run overtook the park where I did my long runs while training for the 2012 Chicago marathon -- but the most vocal opponents also talk about missing the "old school" days of running , when everyone was there to compete. They grumble about slower average finish times, about how the median marathon finishing time has gone from 3:32:17 for men and 4:03:39 for women in 1980 to 4:19:27 for men and 4:44:19 for women in 2014. And overwhelmingly, they are older and male, because that's who was running the most back in what they see as those halcyon glory days of running. I like to compete, too, but I don't want to scare anyone whose goals are different out of the race, either. I was intimidated by runners when I was in high school and college in the late 1990s and early 2000s. Those I saw were mostly male, and all small and lithe and fast. I was built more like a tank, and in my stuttering attempts to run at some time other than softball or soccer practice, I was a slow, bumbling, heaving mess. But by the time I took the plunge and ran my first 5k in 2006, the lineup had changed, and keeps changing: It's men and women of all shapes, sizes and ages; people who run 5k's with their babies, their kids, their dogs; walkers who bring up the back of the pack, and smile across the finish line just the same. 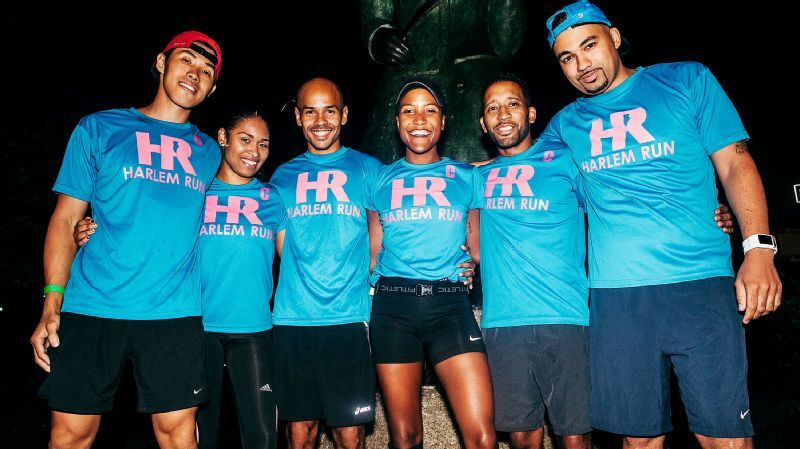 "It's just more accessible," says Toni Carey, who with Ashley Hicks-Rocha co-founded Black Girls Run in 2009 with the goal of making black women feel more comfortable and welcomed into the running community. They now have 70 groups with around 200,000 members, and there's a national Black Men Run organization (though the two are not affiliated). Running, she says, "felt like it was just this thing for old white guys in short shorts. It's become this place where you can come out, whatever color you are, whatever size you are, no matter what your background. We're all equal out there." 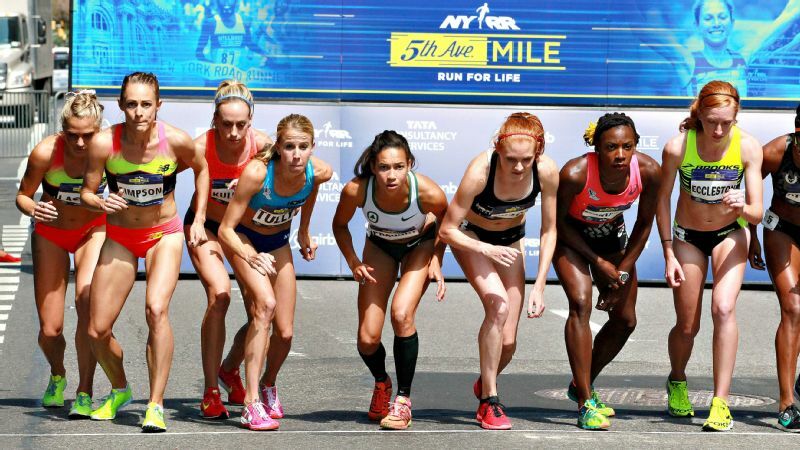 For all the hand-wringing that these "new" runners are ruining the sport, the front of the women's pack is changing, too, getting larger and faster. Two hundred forty-six women qualified to run in the Olympic marathon trials by posting either a marathon time equal to or faster than 2:45:00, or a half marathon time equal to or faster than 1:15:00. That's up from 227 in 2012 -- even with more difficult standards than in 2012. "It gets a little bit more interesting every year because of the depth and competitiveness up front," says Desiree Linden, 32, who had the second fastest women's marathon time during the Olympic marathon trials qualifying period and was the top American in the 2015 Boston Marathon. 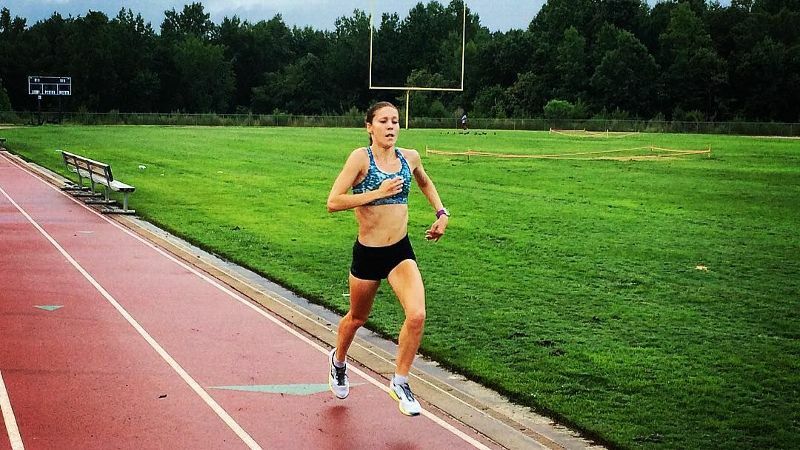 She ran for the 2012 Olympic marathon team and is a favorite to make the 2016 squad. WE'VE COME A LONG WAY As the top woman qualifier for the Olympic marathon trials, Flanagan (front) credits her mom, Cheryl Treworgy, for helping pave the way. Shalane Flanagan, who had the top marathon time during the qualifying period -- she also won the bronze medal in the 10,000 meters in the 2008 Olympics and finished 10th in the 2012 Olympic marathon -- can look much closer for inspiration: her mother, Cheryl Treworgy, who is the former women's world marathon record holder and ran in five IAAF World Cross Country Championships. Treworgy was the first woman to get an athletic scholarship at Indiana State. "She ran in her cheerleading uniform," Flanagan says, adding that people threw beer cans at her when they saw her running. But her mom kept running. Additionally, Flanagan also grew up in New England, where Samuelson and Lynn Alice Jennings, the bronze medalist in the 10,000 meters at the 1992 Olympics, trained. "I got a lot of great advice from her, even when I was in high school," Flanagan says of Samuelson, who has the same shoe sponsor and whom Flanagan now considers a friend. My mom didn't give up on running, either. After seven years of coming to my road races, of holding my sweatshirt and water bottle and wearing a turquoise hat with "COACH" stitched across it so I could find her after I crossed the finish line, she started running herself. At 58 years old, she ran her first 5k. Since then, she's run 14 more (and dropped her PR by more than nine minutes), plus two triathlons, a 10-mile race, and she's training for the New Jersey Half Marathon -- her first half -- at the same time my sister and I are training to run the full marathon -- my sixth marathon and my sister's second. Inspired by her, my dad -- he of the sideburns and baseball team and who hasn't been married to my mom since 1998 -- has started running too, and expects to do his first 5k early this year. I'm proud of them both, but especially mom, who wasn't able to run when she wanted to, but came back to it eventually, and shows herself a true champion every time she crosses a finish line. In the meantime, on Feb. 13, I'll be at a local bar with my friends watching the Olympic marathon trials. I won't be pulling for one runner or the other (or at least I won't say who I like here), but instead I'll be glad that this has become something we all can share -- amateur or pro, man or woman, and that no one has to fight to do so anymore. Jen A. Miller is author of Running: A Love Story, which will be published on March 22.